September has arrived and spring is upon us – meaning warmer weather is on its way and the countdown to a sizzling summer has begun. If you’re yearning for a holiday and feel like you can’t wait until summer, spring is the perfect time to get away on an impromptu cruise break. To tempt you into booking a seafaring sojourn this season, here’s our pick of the best destinations for a spring cruise break. Think a cruise off the shore of our homeland sounds a tad dull? Think again. An Australian cruise holiday offers an unforgettable experience whatever the season – with ample sunshine and lots to see and do regardless of the time of year. In order to enjoy the very best of the spring sunshine, try P&O’s Southern Barrier Reef cruise – a sailing that transports passengers from Sydney to the Sunshine Coast and back again. Alternatively, if your interests lie beyond the beach, try the Secrets of the South, a 7-night sailing along Australia’s exquisite south coast. Come rain or shine, New Zealand is a majestic and timeless destination, and one that’s sure to stimulate new and repeat visitors. In spring, this wild, outlandish country is blessed with hours of sunshine – making its innumerable outdoor attractions and remote, sandy beaches yet more appealing. To enjoy an unforgettable cruise to New Zealand this spring, book a 14-night sailing with Princess Cruises. Departing Brisbane on 11th October 2015, this luxury cruise transports passengers from the north to the south island, calling at Auckland, Napier and the beautiful Fjordland National Park along the way. If you’re aching to lay your towel on a beautiful, sandy beach – the South Pacific could be the cruise destination for you. Boasting tropical temperatures throughout the year, this collection of paradise-esque islands is a haven for those in need of a relaxing, sun-drenched escape from the 9 to 5. For a spontaneous spring break to the South Pacific, try Carnival Cruises’ Pacific Islands from Sydney cruise. Departing on 26th October, this 9-night sailing includes port calls in some of the Pacific’s most beautiful destinations, including Noumea, Lifou Island and the Isle of the Pines. Heritage, history and intrigue awaits in what is fast becoming the world’s most coveted cruise destination – China. Travel to China over the coming months, and you’ll experience the Chinese autumn – a season characterised by its dry weather and enchanting, autumnal colours. To escape to the orient this season, choose an unforgettable Asian cruise like Royal Caribbean’s Best of Asia with the Great Wall. Transporting passengers from Hong Kong to Singapore, this 18-night sailing includes a full day’s tour of the Forbidden City, as well as the fabled Great Wall of China. Make the most of Indonesia’s dry season before the arrival of the wet with a seafaring voyage in South East Asia. With temperatures hitting 28°C throughout the year, there’s no shortage of sunshine in this beautiful country – which is typified by its exotic flora and fauna, not to mention its sandy beaches, friendly locals and fascinating culture. For a truly spontaneous getaway, why not take the plunge and book yourself aboard Royal Caribbean’s Legend of the Seas as it makes its way from Singapore to Australia via Malaysia, Thailand and Indonesia. 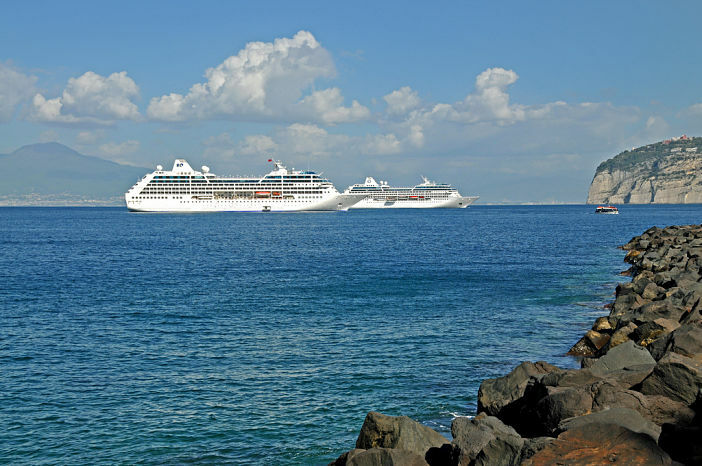 Stopping at several exotic ports, including Indonesia’s Bali and Lombok, this Asian cruise sailing will certainly satisfy that hankering for a holiday. You’ll need to be quick though, as this cruise departs Singapore on 12th September! For a complete range of upcoming spring cruise breaks, visit the Cruise1st Australia website or call us on 1300 857 345.